Every morning, Marlene Barr and her husband walk a neighbor’s dogs 2 ½ miles. “It’s better than having a dog of your own. You don’t have to clean up after them and you don’t have to stay home with them,” Barr said. Barr, 77, doesn’t stay home much. She bikes and skis and travels the world. She’s an active member of numerous organizations including the Ypsilanti Community Choir and the Ladies’ Literary Club in Ypsilanti. Despite being very busy, Barr is also an RSVP volunteer at the Ypsilanti Thrift Shop. “It contributes so much to the needy,” is the reason she has volunteered with the Shop since 1969. Most of the Shop’s profits go directly to human service organizations in Ypsilanti such as Hope Clinic, Friends in Deed, Meals on Wheels and S.O.S. The Shop has been in operation for 70 years, running solely on volunteer efforts. “We always need more volunteers,” Barr said. One attractive thing about volunteering is that the Shop only asks for a volunteer to commit to one shift at the Shop every four weeks. The shifts are about three hours long. The Thrift Shop is at 14 S. Washington St. in downtown Ypsilanti. In addition to her work at the Shop, Barr and her husband John are active in Boy Scout Troop 290, which is based at Emmanuel Lutheran Church in Ypsilanti. She and her husband have taken Boy Scouts to Colorado for an Easter ski vacation numerous times. Marlene Barr has won gold medals in her age category through NASTAR, a ski racing organization. “My husband says I’m a fast woman,” Marlene said. John and Marlene also like to bike on Saturday mornings with the Ann Arbor Bike Touring Society. They ride along Huron River Drive from Ann Arbor to Dexter and have breakfast in Dexter. Another activity that Marlene Barr enjoys is genealogy. 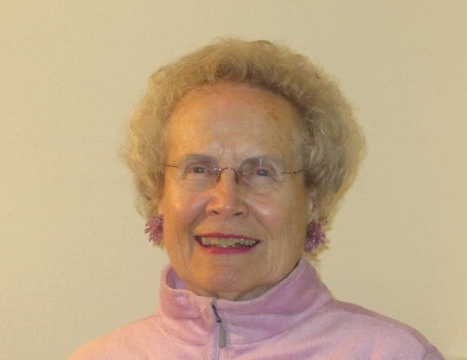 She’s a member of five genealogy organizations and has written several booklets about her family history. She distributes the booklets to family members and to various libraries. Her heritage is Swedish, Norwegian and German and her maiden name is Bielenberg. “After doing some research in Norway at the archives, I connected with a cousin in Oslo. He’s the same age as I am,” Barr said. On one visit to Oslo, the cousin and Marlene Barr visited “a huge brick church that our great-grandfather built,” she said. The sanctuary is known as Trefoldighet and was built in 1853.